Anker’s discount from Monday is nothing compared to what we have today. Lots of great stuff is up for grabs, including the Nebula Capsule, the newly announced SoundCore Spirit X headphones, ZOLO Liberty truly wireless earphones and a whole lot more. As part of a Deal of the Day campaign, Anker is kicking things off with a discount on its newly launched SoundCore Spirit X headphones which are down to just $29.99 from $39.99. But that’s not all, if you are aware of the ZOLO Liberty, which are company’s truly wireless earphones, they too are discounted to $69.99 from $99.99. The Deal of the Day on both will be live on the 7th of June, so please do not miss this when it goes live. Moving on, the Eufy Lumos Smart Bulb with full support for Amazon Alexa and Google Assistant is seeing a discount today. It comes in a 2-pack, and you just have to pay $25.99 instead of $34.99 without any sort of discount code. 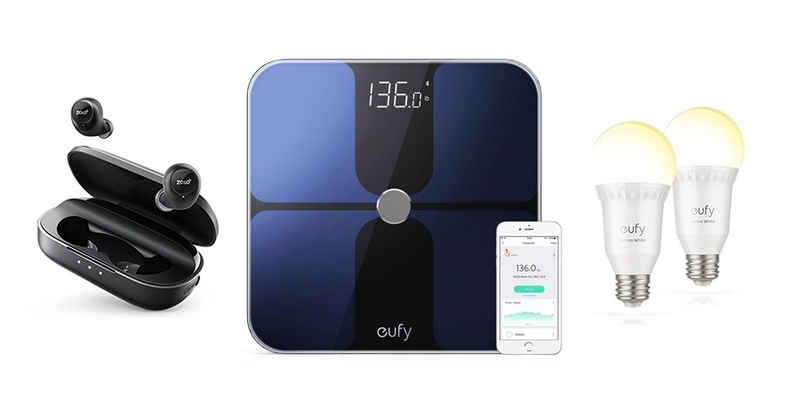 Also, the Eudy BodySense Smart Scale is discounted to a very comfortable $28.99 if you apply the code EUFYS789 at checkout. If you are huge fan of portable entertainment then you should know about the Nebula Capsule. Powered by Android, it features a built-in projector for viewing content on a large wall. It commands a price tag of $399.99, but it’s now down to just $299.99 if you use the code RDNEBULA at checkout. Anker has discounted its 2-in-1 USB-C memory card reader as well. Usually it goes for around just $12.99 but you can grab it for $9.99 if you use the code ANKER837 at checkout. Lots of PowerLine+ USB-C to USB-A 3.0 cables are discounted today too, with Red and Gray options available for 3-feet models, and USB-C to USB-C PowerLine+ cables in Red and Gray options available in the 3-feet model with a carrying pouch. The 6-feet cables are down to just $8.39 from $11.99 and the 3-feet ones are down to just $8.39 from $13.99. Use the code ANKER333 at checkout to get the discount. Bluetooth speaker fans will be please to learn that the company’s SoundCore Mini 2 Pocket Bluetooth speaker is discounted down to just $27.99 from $34.99 with the code SDCORE22 at checkout. Last but not the least, the deals on the Anker PowerCore 15600mAh power bank, Roav Dash Cam C1 and Eufy Smart Switch are still alive.